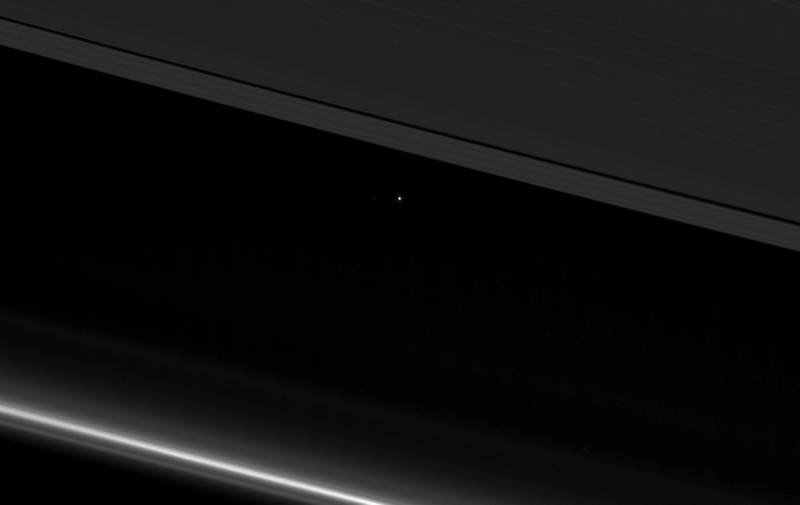 This is an image captured by the Cassini mission to Saturn. The spacecraft captured the image on April 12, 2017, when it was 1.4 billion kilometres away from the Earth. Original image and further details HERE.